January vegan month + why you should join me! The new year is just around the corner, which means everyone's busy making recaps of the year that has passed and resolutions of the year that's ahead. In 2015, my perception of food changed quite a bit. I did a lot of reading on nutrition & diet and became much more conscious of the things I was eating. In August, I tried eating vegan for three weeks, and to summarise this interesting experience: it felt great, both mentally and physically. Because one of my resolutions for 2016 is to eat more plant-based food, I decided to kick off the year with one month of vegan eating. I'm hoping some of you will join me, so I'll tell you a bit more about it in and give you some good reasons to do it too! Now, I really love food and I love ALL kinds of food, also meat and dairy. But I also strongly believe that a plant-based diet is the future. I think that in the years to come, people will reduce their consumption of animal products simply because it's no longer sustainable for our planet. Ever since trying to eat more vegan, my need to consume animal products has weakened. It's simply about making conscious decisions throughout the day, and in a matter of weeks, your perception will have changed. ⇛ It's more sustainable. We've all know that this winter has been exceptionally warm so far, and there's really no denying that our climate is changing. I highly recommend watching the documentary Cowspiracy on Netflix. It's a huge eye-opener and is all about our climate and how our eating habits are affecting the planet. This is one of the most interesting and eye-opening documentaries I've seen so far about the food industry, watch it! ⇛ You can get plenty of protein from plants as well. The excuse that you need animal protein is really not valid, because there are loads of alternatives out there and plant-based food can be very rich in protein as well. And if Venus and Serena Williams can sustain their athletic lives on a plant-based diet, so can you! ⇛ It's a very nutritious and healthy way of eating because you automatically eat more fruit & veggies and say "no" to cakes, cheese and other less nutritious things. If you're doing it right, you're essentially eating more products in their purest unprocessed form! ⇛ Vegan food can be super delicious and most of all colourful! I have many favourite vegan food blogs and Instagram accounts to prove you that vegan food is amazing. I'll definitely share my favourite vegan food inspo in the weeks to come. ⇛ Your tastebuds will change. After eating vegan for three weeks, meat and dairy no longer taste as good. Strange how this happens, but I experienced it first-hand in August. If you're eating vegan for a few weeks, it will definitely affect the way you're eating afterwards, no matter if you decide to continue to incorporate animal products in your diet or not. Everything you eat will be a conscious decision, trust me. 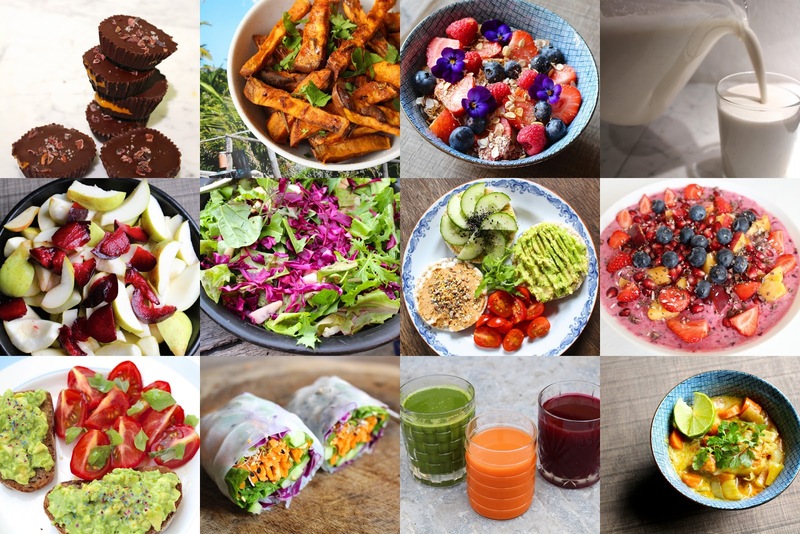 ⇛ A plant-based diet is more ethical, nutritious and sustainable, so why not try it? Because I'm no expert in all this, so I hope you all take some time to watch Cowspiracy on Netflix or 101 reasons to go vegan. Those two videos made a big impact on my current perception of food, so I hope you can learn something from it too. I'll be going vegan for a whole month in January, and I'll see where this takes me next, maybe I'll continue afterwards! This month I'll be posting some vegan recipes, restaurants and other tips to help you (and myself) though this challenge. You can also just join me for a day, week, two weeks or just 80% of the time (like one meal a day non-vegan)? Whatever feels achievable for you at the moment. It's all about taking small steps! Here are my 8 best tips to get you started. Let me know if you're also interested in veganism and what you think about it, I'd love to hear your thoughts!